Just Ask: Integrating Accessibility Throughout Design is written by Shawn Henry (en español), a highly respected usability and accessibility specialist, international speaker, and author. Just Ask is the number 1 search result on Google for popular searches such as "usability testing checklist"
Sponsoring this online book provides positive visibility to your organization. Online: Your logo is featured on web pages with high value and visibility in multiple areas. Offline: Many readers will print the web pages for offline reading and reference, and your logo is included on the printed pages. Multiple channels: Just Ask is promoted through target mailing lists, reviews in high visibility media, and presentations at key conferences. 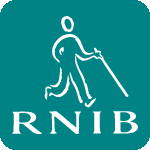 Thanks Shawn, Adobe, RNIB, [Mitsue-Links, SAP] and all for putting an important publication in an accessible format for everyone. Your sponsorship included in announcements and other formal communications about the Just Ask, including e-mails to mailing lists, presentation handouts, and conference flyers. Bronze level sponsorship is €200/3300Mexican pesos. Web pages – Logo on all 26 Just Ask web pages listed in the Índice de contenidos; or on 7 pages: : Portada, Acerca, and Índice de contenidos and 4 pages of your choice; or on 3 pages: Portada, Acerca, and Índice de contenidos. Print position – When printed, logo is at the top of the first page and/or the bottom of the last page of Just Ask web pages. Logo size – 150px H x 150px W image, or 75px H x 150px W image. Can be company logo, product logo, or other logo or text as agreed upon. Linked to appropriate page on your site. Announcements – Sponsorship listed in Web pages, announcements and other formal communications about the Just Ask, including e-mails to mailing lists, presentation handouts, and conference flyers. Sponsors may use the Just Ask Sponsor logos in any medium, including web pages and printed material. When used in hypertext (such as in a Web page), the logo must link to the Just Ask About page using the URI <http://www.uiAccess.com/accessucd/about.html> or the Just Ask Cover page using the URI <http://www.uiAccess.com/accessucd/>. When used in a non-hypertext medium, the Just Ask About page or Cover page URI should be included in text, preferably near the logo. The Sponsor may copy the logo source to their preferred Web server, but the logo may not be changed in any way (for example, resized or colors changed). Unless otherwise agreed, sponsorship starting after January 2008 is for 2 years and benefits are automatically extended for additional years at no additional fee, unless there is a change in status of the resource. The Sponsor program consists solely of acknowledgment of sponsorship according to to details in the Just Ask Online Sponsorship Agreement, and license for the Sponsor to use the Just Ask Sponsor logo under the scope of this program. The order of listing Sponsors is at uiAccess.com's discretion. uiAccess.com reserves the right to reject sponsors. Links to websites with content that uiAccess.com deems objectionable will be refused. uiAccess.com reserves the right to cease Sponsor acknowledgment—that is, logos and links—at any time. In general, uiAccess.com will only do so when the content published at the linked site becomes objectionable. In a case where uiAccess.com ceases to acknowledge a Sponsor, the contribution will not be refunded. uiAccess.com reserves the right to change the Sponsor program and policy at any time—for example to redefine amount—for new Sponsorship. Program changes do not affect existing Sponsorship agreements.